It is hard to see children of any age sleeping rough every night on the streets, or mothers with the sense of hopelessness, holding out their hands to thousands of passers-by who just don’t give her any attention, and still she smiles. The child sees this as a normal day, and probably will for the rest of his or her life, just living in a street and waiting for food to be given. No regular food times, even if it is just handfuls of bad rice. Stomach ache from hunger and stomach ache from bad food. I have always been told never to waste food here, and now if I have an amount of food left on the plate I ask for a “doggy” bag, with the full intention to find someone in the streets that needs the food. It’s not that easy to get the right person, as if you advertise what you are doing you will be surrounded, and the person unable to fight or shout loudest will not get the food. I walk in a direction where I know people sleep rough; however I choose a place well lit, as I do not want my helping somebody robbing me and I always look for someone who is sleeping rough, someone who is beyond begging for that night. I have tucked several slices of Pizza into a child’s blanket as his mother sleeps, I wonder what they think went they awake? The other night during this routine I found a mother and child sleeping, so with a bag of rice, I walked over and noticed that the child was not asleep, but wide awake looking at me. He was maybe around seven years old, but on my approach his eyes widened with fear, I honestly worried he was about to scream!! But as I showed the bag of food to him, his eyes changed from fear to hope, and I offered him the bag. We can all do a little as we could be in the same place if it not for where we were born and who out family was. 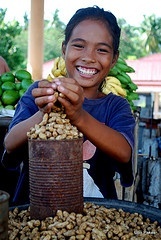 Feeding the Malnourised Children Checkouts in the Philippines Child Care Scheme Down Under Peanuts!! Nice article Jeff you’ve hit the nail on the Head mate. Kids in today’s society especially in the western world have no manners or care in the world were our next meals come from, I was brought up to enjoy, respect and eat every meal that goes on our table. While we were in Malate and in Sucat for 3 weeks near the SM Sucat we would always save some food and give to the young kid and girl outside our complex, to see there smile and eventually thank yous was the most satisfying thing. There eyes would always light up with an upcoming smile that was worth all the money in the world, to help these innocent kids, as they’d never knew were here next meal would come from. 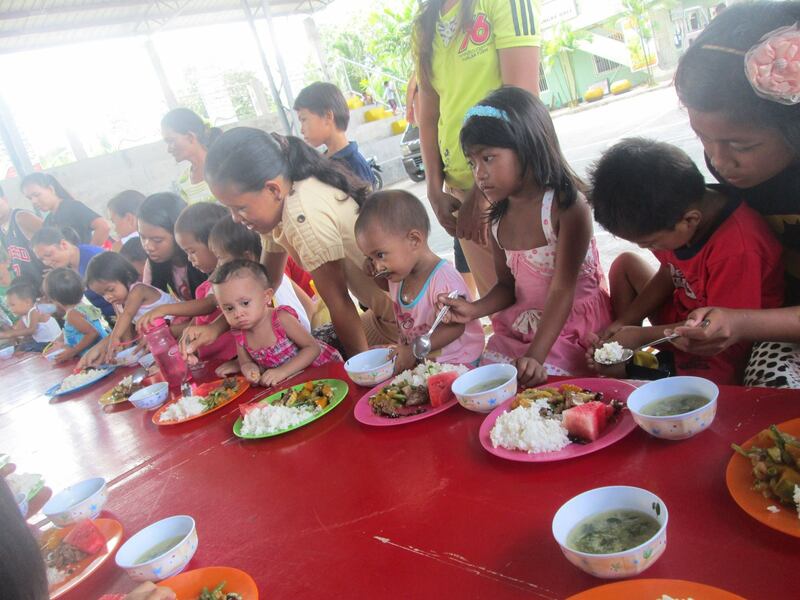 I believe food is not allowed or money to be given to people on the streets here in Davao, as the mayor provides work for people in need, but i have never believed in rules. without compassion, what are we.